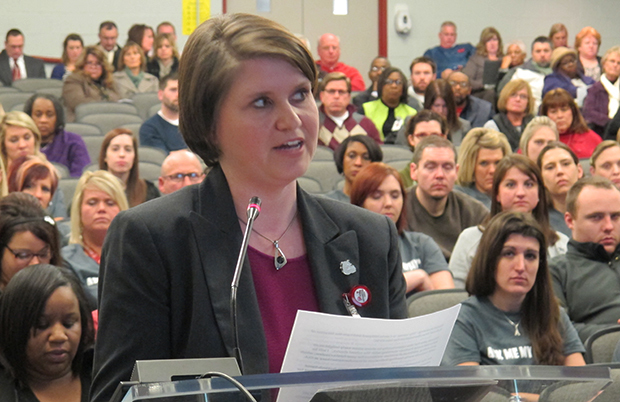 Carrie Hillyard, who leads the turnaround team Evansville Vanderburgh School Corporation leaders created to assist five struggling district schools, speaks to State Board of Education members at a public hearing on the future of Glenwood Leadership Academy. By the time Tamara Skinner had finished speaking, the crowd had come to its feet. “Further intervention is not what our school needs,” the principal of Evansville’s Glenwood Leadership Academy told state education officials at a public hearing about the school’s future Tuesday night. 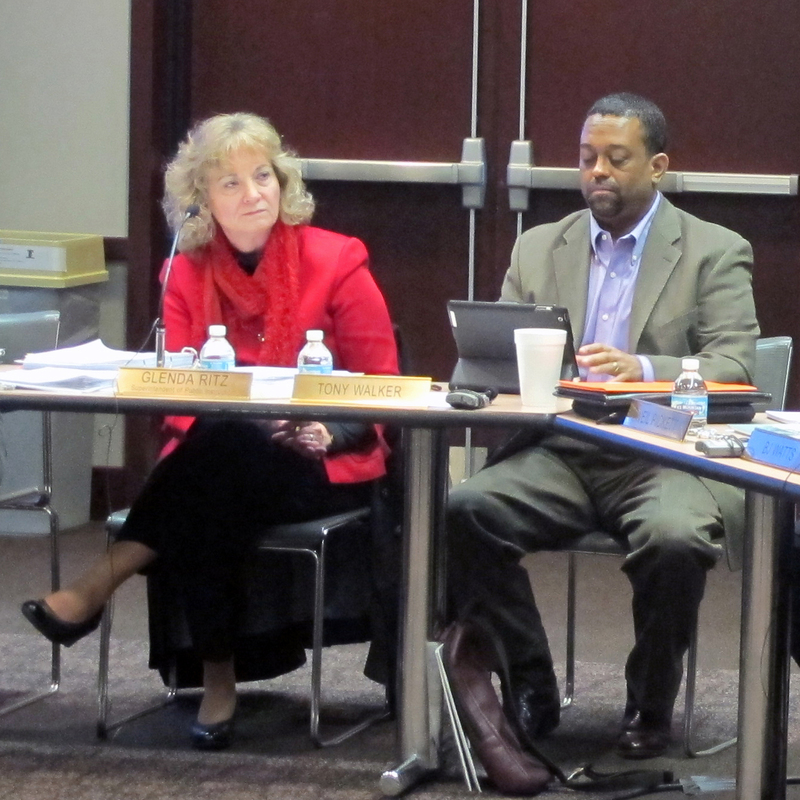 Skinner was one of several Evansville school leaders and community stakeholders who pleaded with State Board of Education members and superintendent Glenda Ritz for a chance to turn Glenwood around on their own. Six straight years of low test scores — scores which rank among Indiana’s worst — have put the school at risk of state intervention or takeover. About 28 percent of Glenwood students passed statewide tests last school year, down from 37 percent in 2012. But nearly 200 staff members, parents and community partners packed into Glenwood’s auditorium, asking the board to allow district officials to continue implementing their improvement plan — which includes, among other things, a $600,000 contract with an outside school turnaround group. School staff presented preliminary test scores which, they say, show the turnaround plan is working. 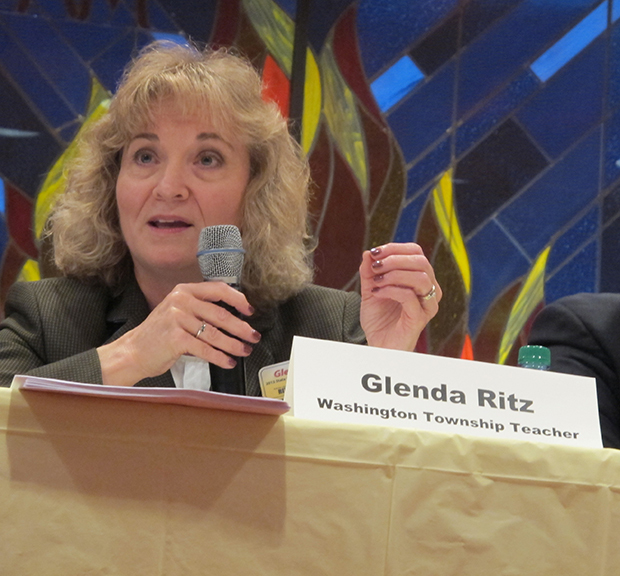 Ritz hasn’t given any hints about what type of intervention, if any, she thinks would be appropriate for Glenwood. She says the board is just beginning its deliberations. Board member Troy Albert also didn’t indicate whether he felt an intervention or takeover will be necessary, but says it’s clear community members support the district’s turnaround plan. “That message was heard loud and clear. But these teachers have a lot to be thankful for. And I’ll tell you this — they have a lot to be proud of,” Albert says.